One of my goals I have never truly met is mastering the art of “quiet time with God.” I meet these women who seem so put together and happy, as if Jesus and the angels themselves got them out of bed with praise music. When I ask them what their secret is, most of them say, “Quiet time with the Lord.” Some of them say, “Zanex!” I don’t judge. I’ve been trying to master this illusive quiet time. Yes, this might be the only time I’m not physically being pulled in fifty different directions but these are not my best moments. I’m cranky because I usually wake up with some kind of ache from a ridiculous new workout routine I’ve tried. I’m half asleep because I’ve been awakened three times during the night for no good reason except imbalanced hormones or restless children that need water. The Bible I’ve owned since third grade. The Bible translated into a novel. Two books about living a more prosperous life in Christ. One book on the power of a praying mom and the power of a praying parent. A wrap thing I was going to wear to make my stomach skinnier. Mom’s One Line a Day Journal which hasn’t been written in for more than six months. My CD player with praise music. Twelve pieces of paper with daily mantra prayers I’m supposed to say for my family. My cell phone with includes four Bible apps, but more importantly my emails and my Facebook. Do you want to guess which one I’m reaching for first? Yes, number ten! If you think I’m a horrible, put this book down and go read something by another famous author. Now for the rest of you heathens, let’s work on this together. It’s not for lack of trying that my “quiet times” seem to fail. I just can’t shut off all the loud noises in my head. I try to pick up the Bible and start reading. I’ll get into a chapter about King David and that will remind me of Lucy’s play date with David Gurman and the fact that we need to buy a birthday present for his brother. Then the mental roller coaster has taken off, and I try to get back to my daily meditations with God. I pull out a prayer. I start pleading the blood of Jesus over my family and that reminds me there was laundry left in the washer overnight and I wonder if I’ll have to do the whole load over again. At this point at least one child needs my attention and only half of my family has been prayed over before I need to get out of bed. I pray to God to help me make it through one more day. I thank Him that I’m alive and that I’m healthy. I try my best to pray for the people on my prayer list, especially those I promised I’d be interceding for and all those others who catch my heart. I think of my friend Janine in Africa, who is literally rescuing babies out of trash cans, and I look at the pictures of her beautiful babies on my phone screen and for a moment I am calm and God leads me to pray for that child who is surviving against insurmountable odds. I pray for Janine and her staff and thank God for her selfless devotion to saving these kids. I thank God that my kids are not laying in a garbage dump. Take a MOMENT to think about . . .
What does your daily routine look like? 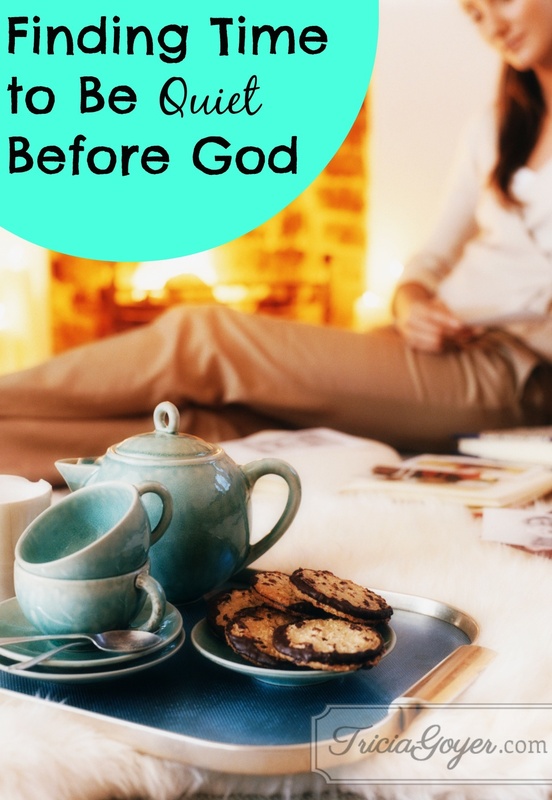 How much of it includes time with God? Are there any changes you want to make? Ask Him to help you. Lord, thank You for looking at my heart and knowing it is pure. Thank You for creating me to praise You through chaos and always know I can turn to You for guidance. Amen.